Half of the 50 most powerful people in the world hail from the United States. These people are billionaires, CEOs, political leaders and people with considerable wealth and influence that enables them to shape up the world. The metrics of newsworthiness, power, command and wealth have been used to draft the following list of ten most powerful people in the country. Larry Fink, the CEO of BlackRock is amongst the top 10 most powerful people in America as of now. Power seems to be a reciprocal of money in the world that we live in today. A couple of stacks down the bucket and you can have big decisions go your way. Now we are not suggesting that these people necessarily bribe the high officials in their country but they do have high stakes in decisions that are taken at the top. The country’s well being also relies on these companies especially in the economic terms. One awry decision and the world can go down just like it did in 2008 due to a couple of bad decisions by the banks and firms of that time. 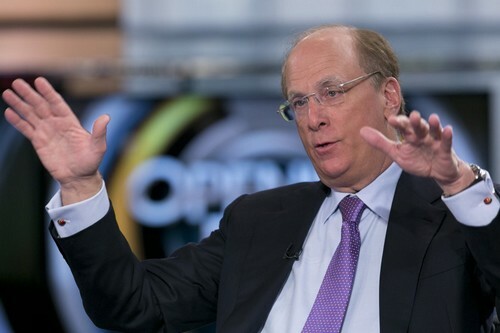 Larry Fink manages the world’s largest asset-management firm. He founded the company in 1988 and today is manages $4.5 trillion in assets. Mr. Fink had been a popular candidate for the US Treasury Secretary. Mark Zuckerberg is known all over the world by his name at least, if not by his face, because of Facebook. He is 31 years old and is the CEO of Facebook that is the world’s largest social media network. Facebook continually employes new strategies to boost revenues and share prices- in a legal way and currently Zuckerberg’s net worth stands at nearly 50 billion Dollars. Besides making investments in technology, he also invests in the educational sector and in charity. This is mainly done through the NFP Startup: Education which was co founded by the tech savvy and his wife Priscilla. They also take credit for the opening of a K-12 school in Palo Alto that aims to provide health and education services to low-income families. Larry Page is the co-founder and the CEO of Alphabet and one of his major moves include the massive overhaul of Google. Google is now a subsidiary of the holding company Alphabet. 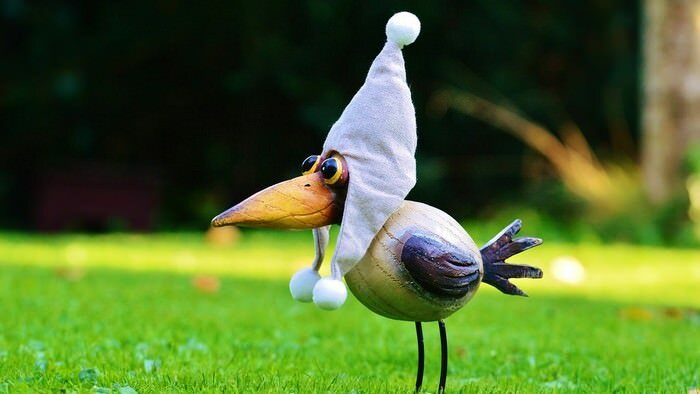 All the ventures of Google like Google X and Nest will be overseen by the parent company. Page was the CEO of Google before he moved up and had co-founded the company with Sergey Brin 1998 and the company has its hands in everything from automation to prolonging human life and using self-driven cars. This is obviously besides their most commonly known venture “the search engine” that enjoys considerable monopoly. Why Page is powerful? His company has the capacity to put pressure on White House decisions and that is precisely how China wishes to use Google in its favour. Amazon.com is not an unknown name in e-commerce. However, despite recording sales of 89 billion Dollars annually (average) the company seldom reports net profits. Amazon reported a net profit on $92 million under the CEOship of Jeff Bezos, increasing his net worth to $55 billion as the shares soared. He owns a private space company Blue Origins. 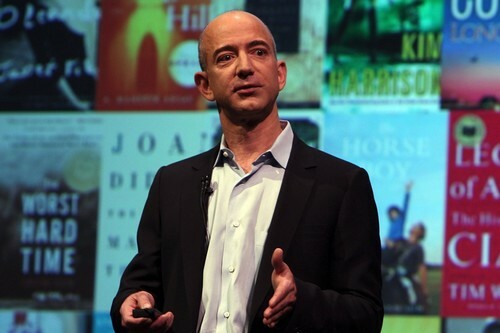 And amongst his other projects concerning Amazon are included a bookstore in Seattle and the fast package delivery drone service by Amazon. Blue Origin has successfully launched a space rocket almost a year ago. Also, it plans to move on to launching manned vehicles into space within the next decade. Space men are very important in the very running of America that anyone who has read Deception Point by Dan Brown can relate to. The CEO of Fidelity, Abigail Johnson is no stranger to power plays. And, has been reportedly said to have tried to ousted her father from the chairmanship of Fidelity. Because their visions were in conflict and she has not been slow in wielding her power. Johnson’s personal wealth is up to $18 billion and she is one of the wealthiest women in the world. So, she can maneuver. She owns the company that controls the fate of many American’s retirement fund. She is manipulative, she is wealthy and she is a woman- power show! The 53 year old Abigail Johnson is the CEO of a company that manages $2 trillion in assets. Even though the executive likes to keep a low profile herself. Everyone who uses a laptop or desktop today knows who Bill Gates is. I as a kid of the 90s knew him by name but not by face. He is presently the co-chair and a trustee of the Bill and Melinda Gates Foundation. With a net worth of $87.3 billion, Mr. Gates still sits on the board of Microsoft. But, he is no longer actively involved in the company’s affairs. Bill and his wife Melinda run one of the most powerful charities in the world. They donates to fight against deaths due to curable diseases in developing countries. 135 billionaires have signed up the Giving Pledge with Gates and Warren Buffet where billionaires pledge to give half or more of their wealth. Bill Gates has committed 95% and the world respects him for that. Koch Industries is run by two brothers Charles and David who are an 80 year old CEO and 75 years old VP respectively. The conglomerate is the second largest company in America and the brothers together yield a worth of over $87 billion. They also have certain political influence that comes with playing such a big role in economy, so much so, that they can influence presidential elections in America. The company employs 100,000 people and generates $115 billion in sales on an annual basis and the success in business is undeniable. Koch Industries makes everything from petroleum products to Dixie Cups and raw material for clothing. Janet Yellen at 69 is the guardian of the US economy. She chairs the Federal Reserve and is the first woman to do so. Her chairmanship has yielded good results so far that include a reduction in overall unemployment and steady economic growth. An interest hike could only have been expected owing to this growth that has not been seen during the past decade or so. Yellen holds a position of immense power. If she announces an increase in the interest rate it affects the whole country’s spending ability and hinder growth. If she doesn’t announce a rate hike then it could lead to inflation in the overall economic environment of the country. It basically shows how important and responsible her ideas are. And why investors try to pick hints about her plans as she talks. The 85 year old CEO of Berkshire Hathaway bought his first stock at the age of 11. He is Warren Buffett. His letters are the grail of wisdom for potential investors in the market. He has placed long term stakes in companies like Coca-Cola and American Express. Buffett has a personal fortune of $65 billion. He took over the company in 1964. Also, he is one of the tycoons in the business world with the largest acquisition to date going to its credit- acquisition of Precision Castparts for $37.2 billion. Warren Buffett is a close friend of Bill Gates. Together they co-founded Giving Pledge to which Buffett has contributed $21.5 billion to date. POTUS or the President of the United States is the most powerful person on the earth. That does not come due to wealth necessarily, although the current President Donald Trump is a wealthy businessman. The president of the US is the commander in chief of the world’s largest armed force. He is the head of the state of a country which holds over 5% of the world’s population. The US has an important say in significant matters of world security like the Middle East Crises and the existence of Israel. It is on the frontline of the war against terrorism and leads the coalition that is struggling to bring peace into this world- failing miserably. The US has been directly involved in 35 civil wars all over the world at different times which shows that the power can also be exploited sometimes.